Kicking off Safety Fest TN 2019 at 8:30 a.m. on April 30 is the Community Safety Forum in the Wamp Auditorium at New Hope Center. The forum’s focus is Facing Future Workforce Needs Today. 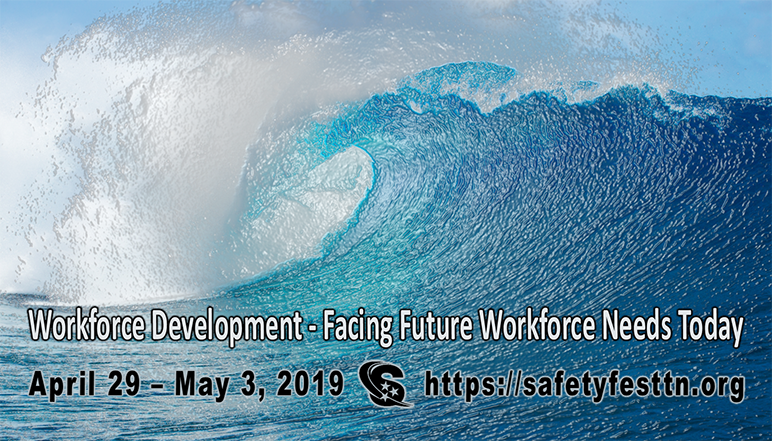 Dr. Jeff McCord, Commissioner of Labor and Workforce Development, State of Tennessee, will deliver a keynote address followed by a panel representing a cross-section of some of the region’s most influential institutions. The “Silver Tsunami” that will occur within the next several years will result in a significant percentage of experienced workers leaving the workforceThey will discuss the challenges associated with attracting, hiring, and retaining the brightest and best to our region while exploring approaches they are implementing to meet those challenges.